Sometimes there are occasions that require the use of a vehicle that stretches beyond the norm of regular transportation. Sometimes, even a standard stretch limousine seems too small for your party. In these situations, you, much like the soccer mom's that made the SUV famous, need to turn to a bigger vehicle – and that vehicle is the stretch SUV limousine. 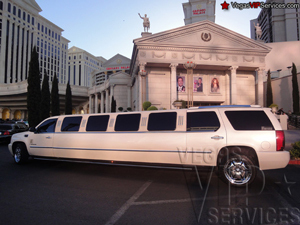 The stretch SUV takes everything there is to like about the typical stretch limousine and amplifies it. Plush seating is available for up to 12 lucky individuals, who will all bask in the atmosphere created within the vehicle. Neon lighting snakes along the SUV's ceiling, giving the vehicle a lighting setup more akin to a nightclub. With a touch of the LED control panel, the SUV can go from a soft interior glow to something a bit more jazzed up. To go along with the strobing lights is a completely controllable surround sound system. Attached CD / DVD player and MP3 capabilities turn this stretch vehicle into a fully customizable ride. Celebrating your bachelorette or birthday party? Don't let the radio determine what music you're going to listen to. Pop in your favorite CD or connect your iPod to the stereo system and create the atmosphere you want. Rounding off the nightclub feel is a mini-bar, fully stocked with water, soda, champagne, and the occasional carafe of vodka. 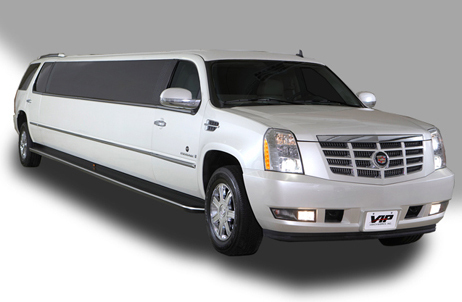 The stretch SUV limo is the perfect vehicle to be out on the town in with your favorite band of girlfriends.